Astounding, intelligent, quirky pop from Japan. Shugo Tokumaru is a 28-year-old Japanese musician and multi-instrumentalist you should have heard of, in some ideal world where exciting and unique pop songwriters get everyone excited. 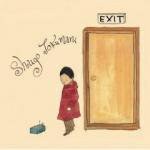 As it stands, this unassuming singer is hardly known outside of Japan, even though he’s previously released two charming chamber-pop albums, in 2004 and 2005. (His debut album, Night Piece, sold only 500 copies in the U.S.) Exit, Tokumaru’s third album, was originally released in October of last year in Japan, which made for three albums in four years -- a laudable output for any musician, let alone one with a full-time band as well as his solo work. His band, a noisy outfit called Gellers, also released an eponymous debut last year. Thankfully, Exit, is getting a (slightly) wider release thanks to Almost Gold Records. We should make the most of it as this is great stuff. A note on that language. Exit is entirely – as far as I can tell – sung in Japanese. Most of the song titles are English, and there’s one part of “Parachute” where Tokumaru slides down what sounds like “pra-shu” but may in fact be the English of the title. But apart from these fleeting instances, the language of the album is Japanese; the language’s straightforward vowels seem well suited to the floating choruses and syncopated delivery. Irrespective of biography and language, the album has a sunny, refreshing optimism that hardly feels out of date. Tokumaru’s been described as a Japanese Sufjan Stevens, and it’s true he occasionally shares a superficial resemblance. Both artists like the tinkle of triangles and xylophones and both use twangy acoustic guitars/banjos and complex harmonic and rhythmic constructions. But, apart from one notable exception, Listening to Exit is nothing like listening to Sufjan Stevens. That exception’s the opening track, “Parachute”, a perfect chamber-pop song, twisting J-pop’s sweet melodies into something unsettled with unexpected harmony. But from here, Tokumaru proves a lighter, less self-serious presence. He switches directions and textures mid-song with obvious relish -- so that a squeaky 7/4 oboe loop will bottom out into straight piano plonk, or the warble of out-of-key flutes stomps into a confluent, shiny refrain. That these transitions never feel particularly engineered is a mark of the skill of these arrangements. They’re lithe and innovative, and in fact quite tonally ambiguous, without ever hitting you over the head with their cleverness. “Button”, a gem mid-album, is all metallic robot-as-real-boy fantasy, not as twee as you initially think, with an intricately-layered atonal background that gradually rises in short swathes to interrupt the '60s sun. I got this spaghetti Western vs. atmospheric freakshow vibe from a few tracks on the album, as if Tokumaru was exploring attitudes towards Western genre in Japan through the music. Difficult to tell with my limited knowledge of Japanese culture and long-faded understanding of the language itself, but “Hidamari” and “Future Umbrella” are all wonky circus-yard, winding down like machines running out of tick, or suddenly goosed back into life. Regardless of the rootless tonalities of the verses, these songs find sweet harmonic homes in the choruses -- he even throws in a “la la la” coda in “Hidamari” -- and this is partly why it’s so much fun to follow along the music’s twists and turns. There are a few American musicians attempting similar up-scale of pop forms -- Owen Pallett from Final Fantasy, and Casimer Pascal from PAS/CAL come to mind -- but Shugo Tokumaru may be more sophisticated than either of those, technically. In “Clocca”, Tokumarus rides major 7ths over and over, reinforcing this squawky cacophony that’s only relieved by a held-over accordion riff, florid and baroque. The rumor is that over 50 instruments are used across Exit, most played by Tokumaru himself, who comes across in interviews as a kind of Japanese Jens Lekman, apologetic and amazed he’s the object of critical admiration. He shouldn’t be. Tokumaru’s music, it’s now well established, is quirky but profound, foreign but still universal. When, over simple piano chords, his multi-tracked voice is sliding down to end a phrase, it communicates at-peace solitude as effectively as any English language singer out there. Find Shugo Tokumaru wherever you can. Seriously.